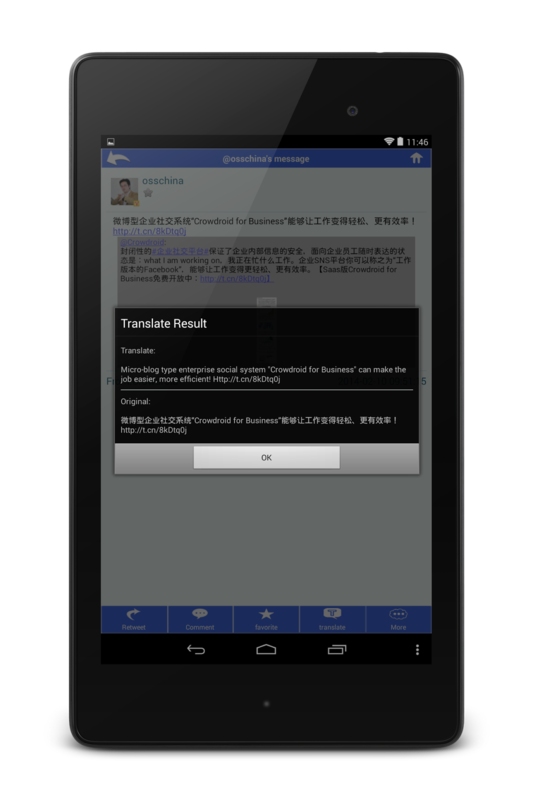 Jiathis published the new report of "Chinese social media information sharing ranking". WeChat was ranked in 3rd position. 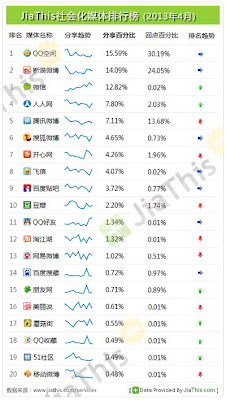 Jiathis published the new report of "Chinese social media information sharing ranking" as of April 2013. 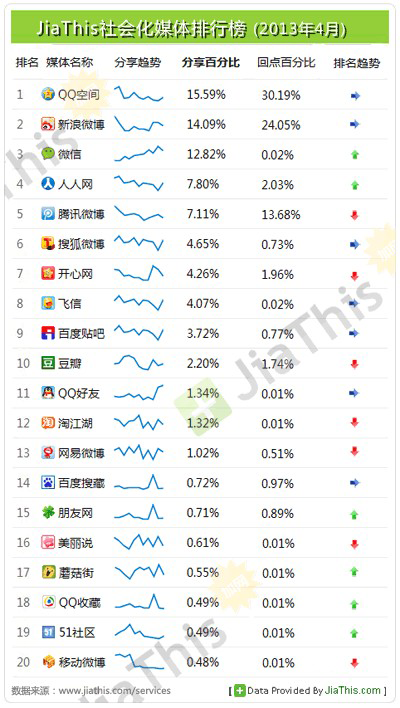 Jiathis added WeChat as the object of ranking from this time, but WeChat was ranked in the 3rd place for the first time. This represents the recent power of Wechat, but it has something in our mind that their click rate is much lower than Qzone or Sina Weibo. The user number of WeChat will be shortly over 400 million people, and a lot of companies already use WeChat as a marketing tool. So this result maybe makes the marketing people nervous, but it's important that we will also continue to watch the trend of this after next month.